The green seaweed growing on the rocks at Charley Young beach is a very stark color contrast to the beautiful blue Pacific. Image published by Kirt Edblom on 2019-04-07 16:26:39 and used under Creative Commons license. 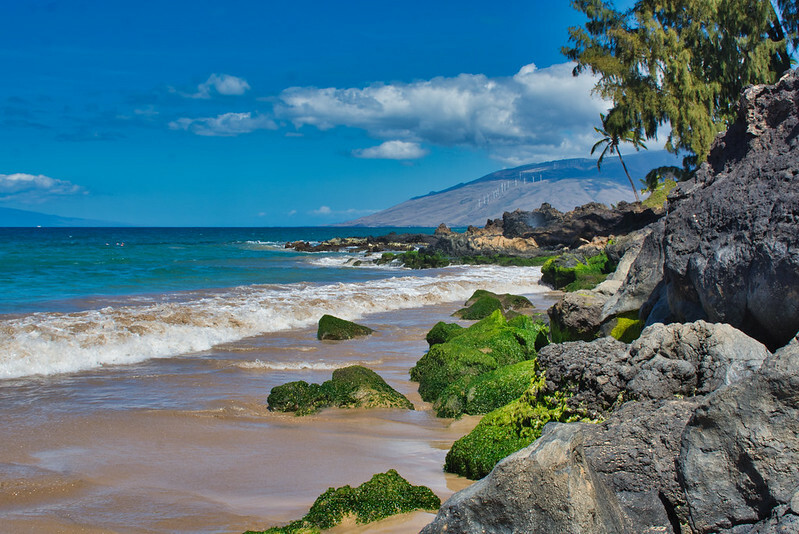 Happy Aloha Sunday from Maui! Our Hawaiian Monk Seals love the beach! !